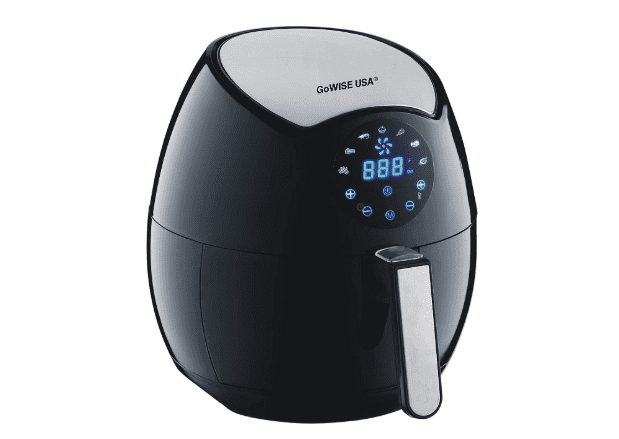 The GoWISE air fryer is a great multipurpose air fryer. It comes with 7 preset functions and heats up between 175 degrees Fahrenheit and 400 degrees Fahrenheit. This is one of the cheaper models on the market, too!